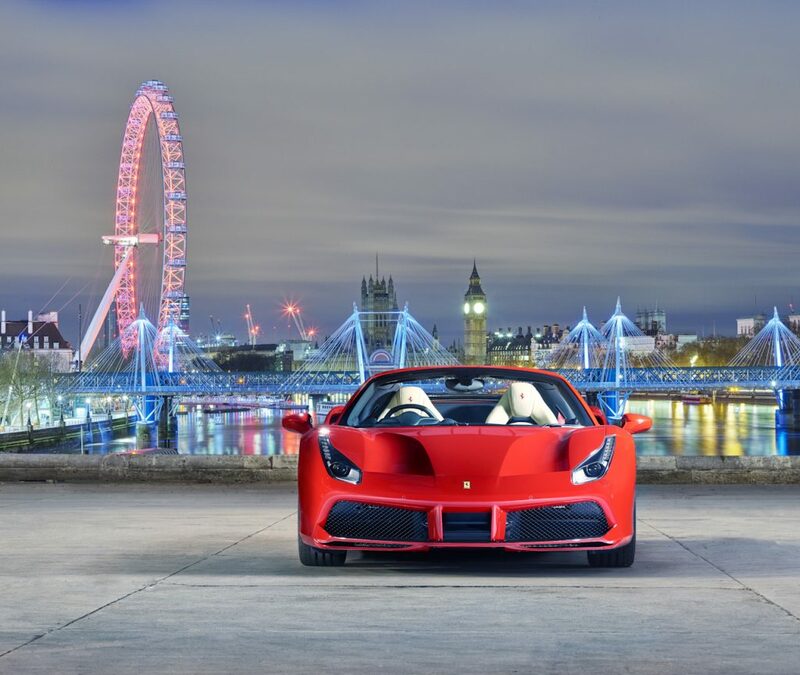 London, 25th February 2016: Last night Ferrari unveiled the 488 Spider during an exclusive event in an incredible central London venue. 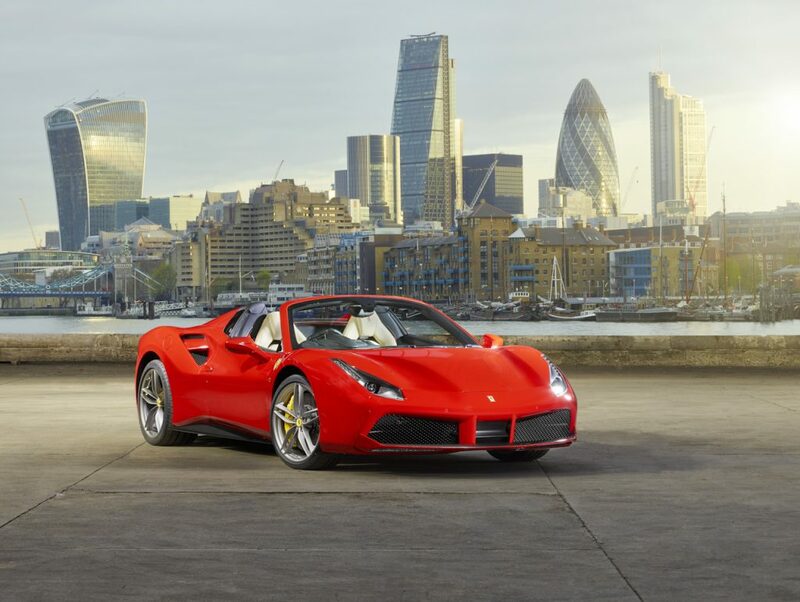 The car was unveiled by Marc Gené, Scuderia Ferrari F1 test driver and the event was hosted by BBC F1’s Correspondent Tom Clarkson, who were also in the company of Jamie Campbell Bower and Lucy Watson. 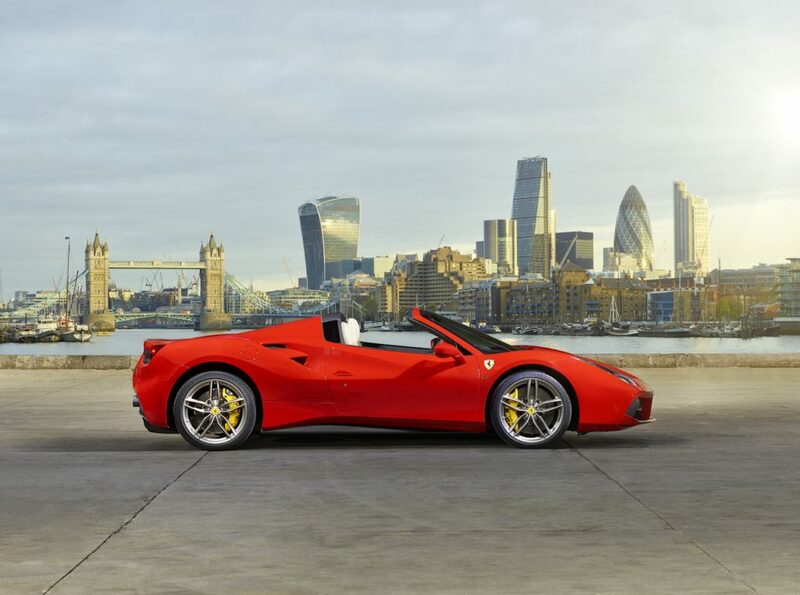 The Ferrari 488 Spider is the latest chapter in Ferrari’s on-going love affair with open-top V8 sports cars, a story that started with the targa-top version of the 308 GTB – the immortal 308 GTS – and which ultimately resulted in the full convertible Spider architecture. 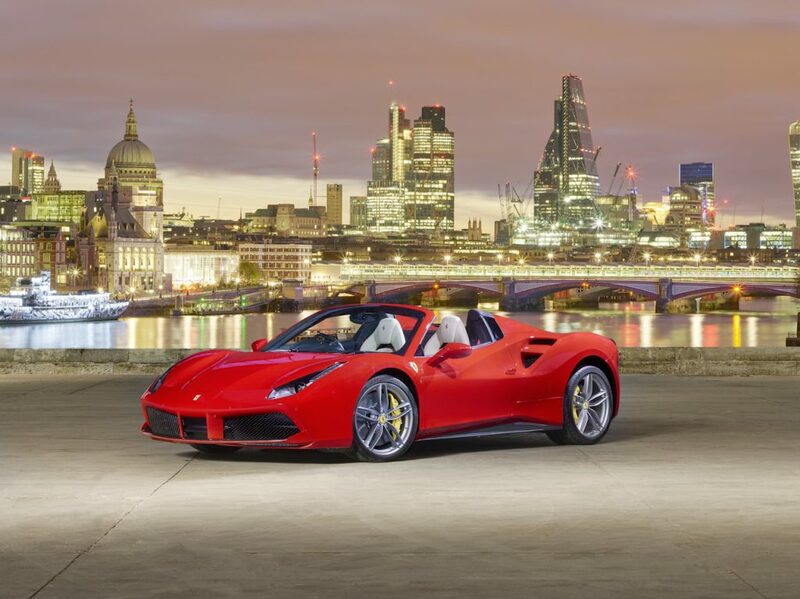 Starting with the RHT (Retractable Hard Top), around which the entire car was developed, every area of the 488 Spider has been designed to set new technological benchmarks for the sector. 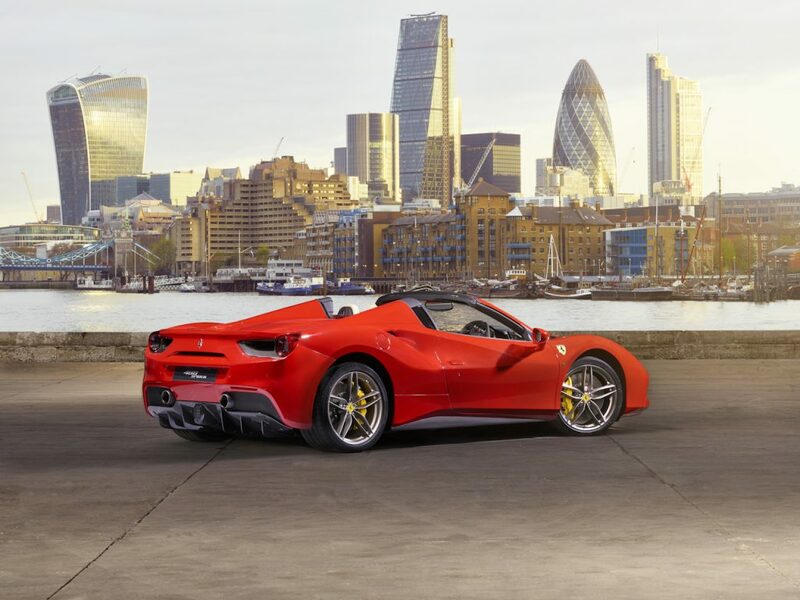 The result is the most powerful and innovative Ferrari Spider ever built, a car that marries the extraordinary prowess of the 488 GTB coupé’s mid-rear V8 with the joy of tackling even the most challenging roads surrounded by nature’s heady aromas and colours and accompanied by an inimitable Ferrari engine soundtrack. The spectacular launch brought together the most elite in London society. In attendance were guests from the fashion, arts and creative communities as well as those with a passion for the remarkable Italian brand. 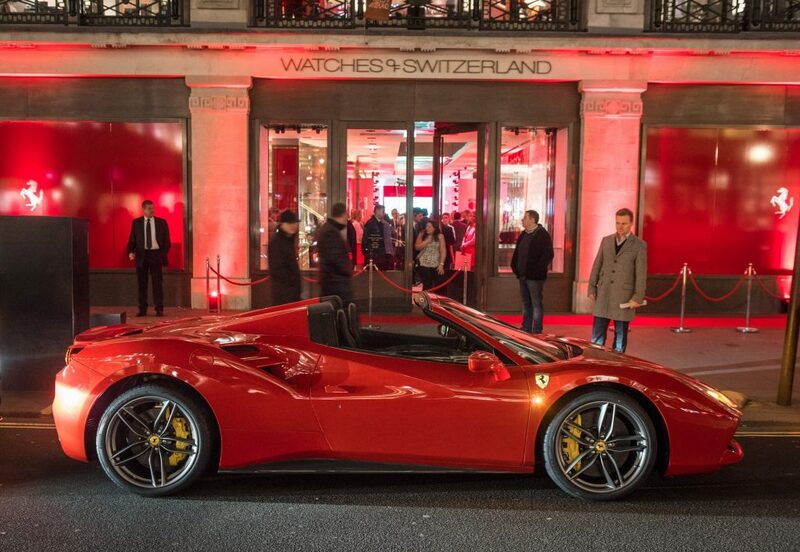 Upon entering the venue guests were able to experience the beauty and workmanship of the Ferrari 488 Spider up close, positioned centre stage on the ground floor. As they made their way up the dramatic glass staircase to the first floor guests were able to experience the Ferrari ‘Tailor-Made’ service. Guests were able to experience first-hand the unique service offered to Ferrari customers, ‘Tailor-Made’ is an atelier offering Ferrari customers the highest standard of craftsmanship and personalisation, allowing them the opportunity to select luxurious fabrics and colour combination with which to personalise their vehicles. Guests sipped on champagne as they also experienced a unique array of traditional Italian delicacies with a modern twist. Burrata served with paper bread, bresaola accompanied with Parmesan and rocket as well as bite size arancini balls. For those with a sweet-tooth Tiramisu was the order of the night, followed by a shot of espresso. Guests drank cocktails celebrating the 488 Spider including the 488, a sumptuous mix gin, peach liquor, peach puree, lemon juice, lavender and Kaffir leaf.